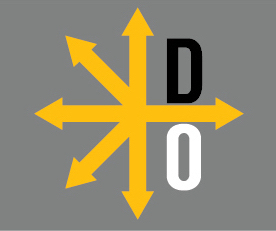 Today on The Smell of Victory Podcast, Bob Hein and Phil Walter sat down with Loren DeJonge Schulman of the Center for a New American Security to discuss the draft. – As the world returns to great power competition, is it time to bring back the draft? – Is the all-volunteer military turning into a warrior class? -Since the end of the draft, the stage has been set to ensure the U.S. public can be insulated from war. – Your kids aren’t going, your taxes aren’t going up, so stop worrying about it. – Since Korea, we no longer do pay as you go wars. – A rich person’s war, and a poor person’s fight, is not far from the truth. – Presidents have found they can wage war without a lot of oversight. – Congress has zero desire to have a political discussion about America’s wars overseas. – Should a draft be used as a forcing function to even out the demographics of the military? – It is vital you include women in the draft. Right now women are not required to register for the Selective Service. – The reality is going to be “Hold the hell on until the U.S. industrial base and the draft can be mobilized. – After fighting an endless war, what if the warrior class decided they no longer wanted their children serving in the military? – Battle field proximity and battle field effectiveness are no longer the same thing. You can listen via Sticher by clicking here, or iTunes by clicking here. You can also listen on our website by clicking play below or download The Smell of Victory to your favorite podcatcher via our RSS feed below.